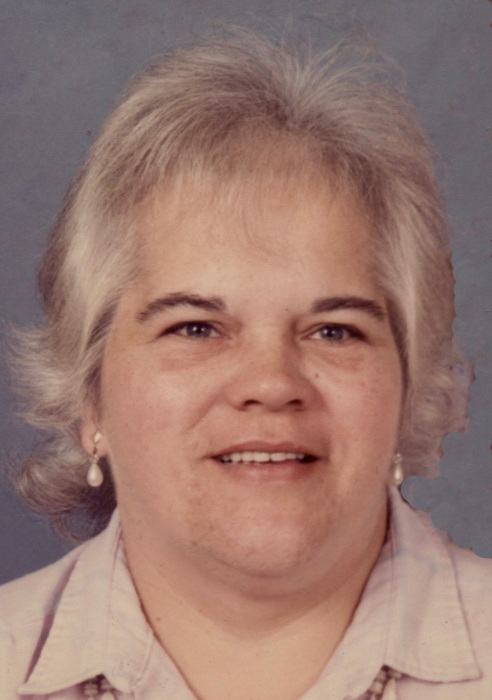 Obituary for Esther D. Young | Hartzler-Gutermuth-Inman Funeral Home Inc.
Esther D. Young, 75, of Elkhart, died Thursday, January 24, 2019 at Elkhart General Hospital. She was born to the late Merlin H. Anderson and Pauline E. Barger on July 19, 1943 in Elkhart. She married Ralph E. Young in Athens, Ohio on October 9, 1993. He preceded her in death on June 5, 2006. Esther was also proceeded in death by her brothers, Johnathan, Joel and Peter, sister Pamela Sickels and her granddaughter Stephanie M. Asire. Esther graduated from Elkhart High School. She was a homemaker, employed by Nibco for 2 ½ years and a custodian for Elkhart Community Schools for 16 years, retiring in 2008. Esther was a member of Elkhart Church of Christ, serving on the Funeral Committee and teaching preschool Sunday school. She also enjoyed being an Avon Representative. She leaves to cherish her memory, sons Donald (Joann) Cramer of Goshen, Timothy (Julia) Cramer of Elkhart, Mark (Tina) Cramer of Niles, MI, John Cramer of LaPorte, Luke (Carol) Cramer of Cassopolis, MI , daughter Robin (Scott) Asire of Martinsville, IN, 13 grandchildren, 12 great-grandchildren, brother Robin Johnson of Suffolk, VA, sisters Phyllis Yazzee of Pocatello, Idaho and Shirley Horrace of Nampa, Idaho. 3816 Paysphere Circle, Chicago, IL 60674 and Elkhart Church of Christ, 29222 CR 12, Elkhart, IN 46514.